Pay Per Click Analyzer allows online advertisers to manage thousands of keywords and marketing campaigns simultaneously across major domestic and international Pay-Per-click search engines and comparison-shopping sites such as Overture, FindWhat, Kanoodle, Sprinks and many more. The SoftwareShield System is a full featured licensing and copy-protection system for software developers who create Windows applications. Using the SoftwareShield System allows your team will save substantial development time and money. PIA-Service Manager is a pay-per-use Internet Connection Management System that allows operators to offer fee based connections to Internet. Pay per click (PPC) advertising can be expensive. To save money, experts develop large keyword phrase lists that few competitors are bidding on. The Permutator helps create these lists in just minutes. Great for use with Google Adwords and Yahoo! The leading chat server software for dating sites or social networks, It can be easily added to all CMSes: Joomla!, Skadate, phpBB, vBulletin... multiple skins and single sign-on. Pay per Minute video chat is available! Free trial now! All-in-one keyword research tool for SEOers, affiliate marketers or any Internet marketer who advertises on pay-per-click search engines, such as Google and Overture. This ultimate SEO tool comprises six powerful utilities. The ebook is the most complete guide to pay-per-click advertising. Cantax T2 Pay-Per-File is the perfect solution for tax professionals who prepare a low volume of tax returns in a year. You can load the tax return and examine all the tax forms on your screen. You will not be able to print or Efile the tax return using the Cantax T2 Pay-Per-File program unless you purchase the tax return. PPC Mixer provides an easy-to-use method of creating keyword or domain name specific URL's for pay per click campaigns. Ad Hunter is aimed at advertisers who intend to use Google's AdWords pay-per-click advertising program. 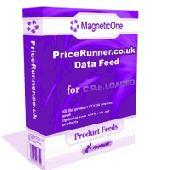 CRE Loaded PriceRunner.com Data Feed - CRE Loaded contribution which would help you export easy your products into PriceRunner.com - one of the best Pay-Per-Click service. 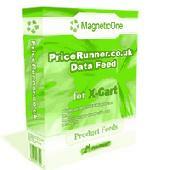 osCMax Cart PriceRunner.com Data Feed - osCMax Cart contribution which would help you export easy your products into PriceRunner.com - one of the best Pay-Per-Click service. osCMax Cart contribution which would help you export easy your products into shopping.com - one of the best Pay-Per-Click service. osCommerce contribution which would help you export easy your products into PriceRunner.com - one of the best Pay-Per-Click service. The website PriceRunner is a price comparison service launched in Sweden in 1999, and since bought by ValueClick. X-Cart Mod, which would help you export easy your products into PriceRunner.com - one of the best Pay-Per-Click service. 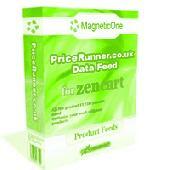 Zen Cart contribution which would help you export easy your products into PriceRunner.com - one of the best Pay-Per-Click service. 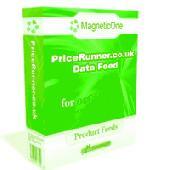 The website PriceRunner is a price comparison service launched in Sweden in 1999, and since bought by ValueClick. Zen Cart contribution which would help you export easy your products into shopping.com - one of the best Pay-Per-Click service. The Shopping.com network includes 80 percent of the worlds top 300 retailers and represents more than 10,000 merchants. ROI Calculator is the Calculator for your internet pay-per-click advertising investments. ROI Calculator is the Calculator for your internet Pay-Per-click advertising investments.Use this calculator to measures the ROI (return on investment) of a CPC (cost Per click) advertising buy, such as with Google's or Yahoo! 's search listings. 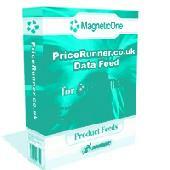 ROI Calculator is a freeware. Dynamic Bid Maximizer Advance is an ultimate pay per click optimization tool help you to manage your keyword bids at ALL major pay per click search engines. Outdated doorway generator techniques are no longer working, pay per click advertising every day becomes more and more expensive, and top ten organic search engine ranking placements are no longer easy prey. A complete suite of Web site promotion tools. Submits your site to search engines, analyzes and optimizes your pages for top ranking, tracks traffic statistics, tracks ranking, provides an interface for pay-per-click sites, and much more. StatsRemote is the best and easiest way to check the statistics of your affiliate programs, credit card processors and pay per click search engines. StatsRemote is the best and easiest way to check the statistics of your affiliate programs, credit card processors and Pay Per click search engines. There is no need to manually login to each stats area anymore as this software does it all for you whether you use Windows, Mac or Linux.